Jodi Martin returns to Cobargo with a stunning new single, Love is Your Legacy. (and of course, a full show) Written in her hometown of Ceduna, this is Jodi at her raw and honest best. Following the momentum of her cheeky eco-single (Did Mother Nature Become a Criminal, co-written with Arlo Guthrie, the new single is an intimate journey through love and loss, steeped in the stillness and sparseness of the desert. 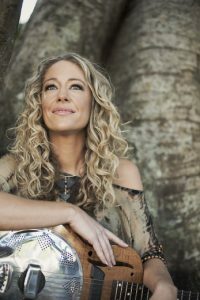 Jodi is joined at Cobargo by her Candelo-based sister, Robyn Martin, to weave harmonies around songs that will leave a smile on your face and goosebumps on your skin.